Archive by category "Early Education"
The more information we take in, the easier it becomes to lose sight of the basics. Parenting, something that humans have been doing since the beginning of time, now feels complicated and confusing. In 1995, a famous study* found that lower-income children are exposed to 30 million fewer words than their higher-income peers. Research since then consistently confirms this “word gap” that exists among young children. Think about the implications. Children who don’t have as many words in their “word bank” are less ready for school, less prepared for academic success, and less able to follow instructions. “Quality early experiences” isn’t simply a idealistic notion touted by educators and advocates. Early experiences matter because they prepare developing brains and bodies for life. If you’re a preschool teacher, childcare worker, volunteer, Sunday school teacher, parent, grandparent, or caregiver for young children — this post is for you. Spend any time with children, even those within the same family, and you’ll soon learn that they are like snowflakes; no two are alike! Some are naturally compliant while others naturally push the boundaries. Some are quiet and attentive while others never have an unspoken thought. 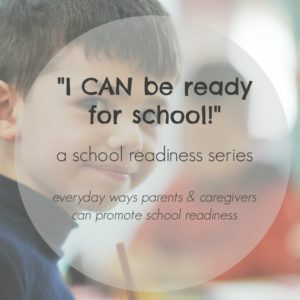 It can be overwhelming to guide different personalities all at once and to know how to work with challenging children in a classroom setting or within the family.